The School of Mass Communication at Loyola University New Orleans has become the first Jesuit university program in the U.S. to hold national accreditations from both the Accrediting Council on Education in Journalism and Mass Communications and the Public Relations Society of America’s Certification in Education for Public Relations. The School of Mass Communication is also the only such university program in Louisiana to hold both national endorsements, which were announced in early May. 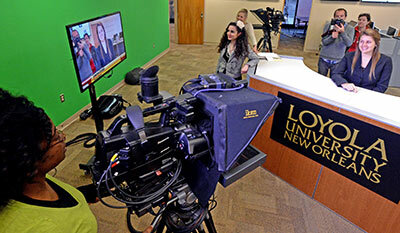 “For parents and students looking for the best university mass communication program possible, these accreditations give Loyola a critical stamp of approval and serve as proof of the top-quality educational experience we offer to prepare students for successful careers in journalism and strategic communications,” said Sonya F. Duhé, Ph.D., Loyola professor and director of the School of Mass Communication. The national accreditations will reap dividends for Loyola School of Mass Communication graduates—and their careers—for years to come, according to Duhé. Media and mass communication professionals seeking to hire entry-level or more experienced candidates look to programs recognized by the Accrediting Council on Education in Journalism and Mass Communications and the Public Relations Society of America as the distinctions ensure students are prepared with a solid professional education and a well-rounded liberal arts and sciences background. To obtain the accreditation from the Accrediting Council on Education in Journalism and Mass Communications, faculty, administrators and staff conducted a rigorous, five-year self study to ensure Loyola met the accrediting council’s set of nine standards ranging from the school’s mission and governance to its forward-thinking teaching practices and high-tech facilities. A team of academicians and professionals from the accrediting council visited campus earlier this year. A rigorous self study was also required for certification from the Public Relations Society of America. A site visit team conducted a thorough review of the school’s public relations program during a three-day assessment that included meetings with administrators, faculty, students and officers in the Loyola chapter of the Public Relations Student Society of America. 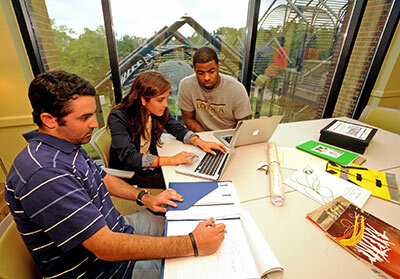 The committee also surveyed local public relations professionals and alumni about the educational experience at Loyola. In awarding the certification, the Public Relations Society of America pointed to Loyola’s demonstrated excellence in all areas of its strategic communications program and its solid reputation for quality. That reputation, for example, is bolstered by the fact that Loyola has won the Bateman Case Study Competition—sponsored by the Public Relations Student Society of America—more than any other college or university in the country.